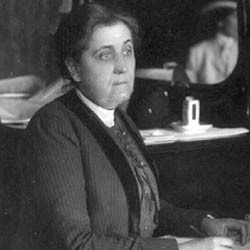 Jane Addams, lecturing before the University Extension society in Carnegie Music hall last night, struck the keynote of sociological advancement in this country, when she called for a better [image JANE ADDAMS, Noted sociologist, who spoke last night of possibilities of the immigrants to America.] understanding by Americans of the immigrants that come to our shores. 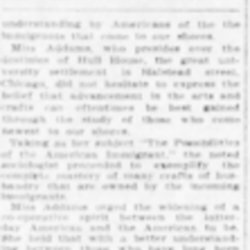 Miss Addams, who presides over the destinies of Hull House, the great university settlement in [Halsted] street, Chicago, did not hesitate to express the belief that advancement in the arts and crafts can oftentimes be best gained through the study of those who come newest to our shores. Taking as her subject "The Possibilities of the American Immigrant," the noted sociologist proceeded to exemplify the complete mastery of many crafts of husbandry that are owned by the incoming immigrants. Miss Addams urged the widening of a [cooperative] spirit between the latter-day American and the American to be. She held that with a better understanding between those who have long been Americans and those just entered into our industrial life, there will be a material advancement in culture and appreciation of the finer crafts. "There is nothing more surprising," said Miss Addams, "in our work among the unnamed multitude of Chicago, than the amazing potentialities of the immigrant classes. In most of them there is the possibility of material achievement in the crafts. "Coming here unknown and unsung, the immigrant is forced into a life of servitude in the stockyards or elsewhere, when he owns the ability to create a comfortable livelihood by the trade he learned in his fatherland. "The proof of this is in the work done by the men and women of the slums at Hull House. They come there of an evening and with the happiness of those who work at that which they most enjoy, they work at their various trades with all the zealousness of enthusiasts. "Some are workers in brass and other metals, other are adepts in the making of high grade furniture. Still others are interested in machinery, modeling, drawing and a hundred diversified forms of creative effort. The women are equally conversant with the arts of domesticity. "What we need in this country is an intelligent and systematically directed effort to reclaim the endeavors of our immigrants and to encourage them to enter the fields best suited to their success as useful Americans." Miss Addams will lecture again in the University Extension course on the evening of November 4. 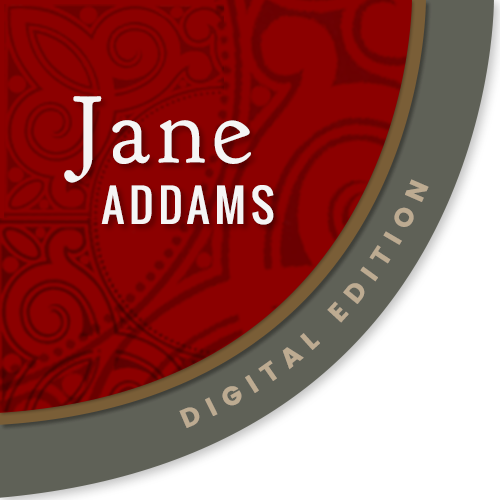 Addams, Jane, “The Possibilities of the American Immigrant, October 28, 1907 (excerpt),” Jane Addams Digital Edition, accessed April 18, 2019, https://digital.janeaddams.ramapo.edu/items/show/9235.